I know this post is long, but it’s full of LOVE. So let me give you a tl;dr version, because I’d hate for you to miss out on these two books: I LOVE Fat Cat and Evolution, Me and Other Freaks of Nature by Robin Brande TO PIECES. They are fabulous. GO READ THEM. A couple months ago, when I was still doing the awful commute to work and school, I listened to Fat Cat by Robin Brande. Guys, I loved that book so hard that I couldn’t even review it. I know, that doesn’t make any sense, but somehow I just never got around to writing up a review of it. I don’t know why; maybe I just couldn’t articulate what was so awesome about it. Now that I’ve read Evolution, Me & Other Freaks of Nature, I think I have a better idea about why I love Brande so much. 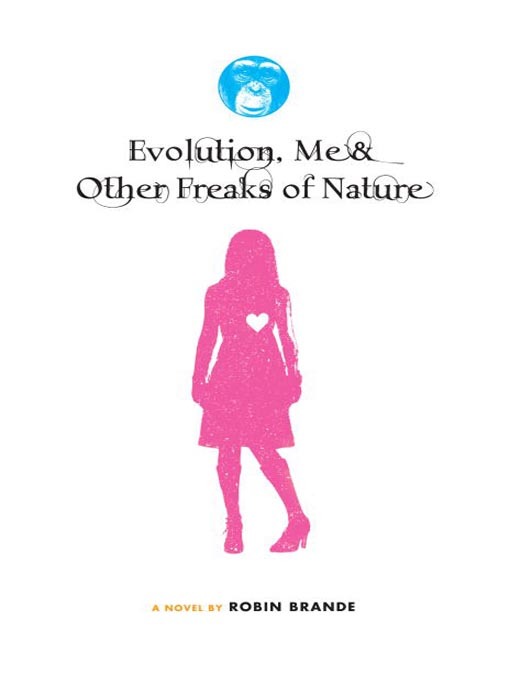 Fat Cat and Evolution, Me & Other Freaks of Nature are two of the best YA books I’ve read in recent memory. The two stories are very different, but both feature a strong young woman as the protagonist, both heavily feature high school science and high school science teachers, both have wonderful romances. Whereas Fat Cat is about a young woman who decides to change herself, Evolution, Me & Other Freaks of Nature is about a high schooler who unknowingly begins to change her entire community. Mena belongs to an extremely conservative church, but when she is witness to something that she finds to be very wrong, her entire church turns against her, including her parents. All of the people that were once her friends become her enemies, but it just might be the best thing that ever happened to her. Her lab partner in Biology class, Casey, broadens her horizons, introducing her to a lot of things that her strict religion kept her from, like Lord of the Rings and science fiction and science in general. With the help of Casey’s older sister, they try to stop Mena’s ex-friends from taking on the best teacher in the school, Ms. Shepherd by disputing evolution and trying to introduce intelligent design into the curriculum. This book is relevant, it’s smart and it’s different. These kind of things are happening all the time. This book will give kids like Mena the courage to step up and say something when being silent is the easier option. This book completely refutes the idea that a scientist can not be religious and a Christian cannot be a scientist. Though Mena has been excommunicated from her church, she still maintains her beliefs. This was so entirely refreshing, even though I personally don’t share Mena’s beliefs, because Mena never once turns on what is true to her, she simply is open to new ideas and incorporates her new knowledge into her belief system. I like YA books that have the ability to affect change, especially in teenagers who have formed such strong opinions because an adult has told them too, not because they understand the issue. The teenagers in this book do some truly awful things, but how much can we blame them when all the adults in their lives were telling them they were doing the right thing? Maybe Mena can change their minds; if they see someone who is so much like them, altering their opinion and becoming more open to what the world can offer, maybe they will too. I love it when she says things like that. Like she doesn’t even care how weird it sounds. “If you think about it,” she went on, “not a single one of us is exactly like anything that came before. In a way we’re all truly freaks of nature. That’s what it takes to survive – the freaks shall inherit the earth. Look how well viruses are doing. They mutate and adapt constantly – it’s why we have to develop new vaccines all the time to keep killing them. “Just something to think about,” Ms. Shepherd said. And then the bell rang. Where Evolution, Me & Other Freaks of Nature has Mena taking on her entire church and finding out about herself along the way, Fat Cat is about the main character Cat finding herself. She believes a lot about herself, a lot of which has to do with her weight, but she finds out that she just might be a completely different person, and her longtime enemy might not be everything she thinks he is, either. Cat is amazing as a narrator. I loved every single thing about her, I wanted to be her best friend. I saw parts of myself in her, parts of my best friend, parts of my sisters. I thought Fat Cat could go a lot of ways – the plot is essentially that Cat uses herself as a science experiment, to live as prehistoric hominids did. She begins to lose some weight, a lot of weight, and her life changes along the way. 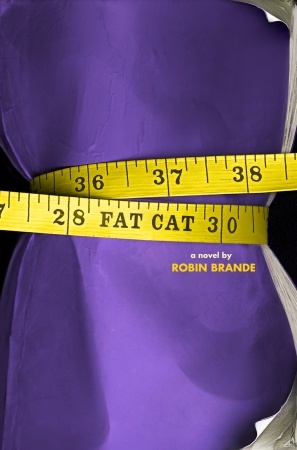 This is not a book about fat being bad and skinny being good. This is a book about getting healthy – for you. Not for the boys, not for your family, but for yourself. At the same time, that is not really what this book is about at all. It’s not a preachy book about weight loss, by any means. What it all boils down to is I saw myself in Mena and Cat, and I think every girl could. I want to give these books to my sisters, my cousins, my friends, my mother, my grandmother. That’s not to say that boys wouldn’t enjoy them too, there’s a lot of crossover appeal here. The other big plus here? There was romance, but THESE BOOKS ARE NOT ABOUT THE ROMANCE! When Cat loses weight, there are a lot of boys interested in her, but the way the romance plays out is perfect,when it could have so easily failed. Please. Robin Brande, write more books. I feel like you’re writing them just for me and I need some more! Right now! Please? Also reviewed by: (Evolution, Me & Other Freaks of Nature) Teen Book Review, Liv’s Book Reviews, Lesa’s Book Critiques, Ten Cent Notes, A Chair, A Fireplace & A Tea Cozy, Reading Rants!. (Fat Cat) Confessions of a Bibliovore, Becky’s Book Reviews, Lesa’s Book Critiques, Steph Su Book Reviews, Reading Rants!, Lauren’s Crammed Bookshelf, Reading to Myself. In this review you said, “I like YA books that have the ability to affect change, especially in teenagers who have formed such strong opinions because an adult has told them too, ” and I could not help but nod my head emphatically. That is EXACTLY on my list of criterion for a great young adult book. I’ll be adding both of this one my wishlist. These both sound really good. I love that passage you quoted! I’ll have to include this post in my next Sunday Salon weekly link round-up. EL Fay: I think these are books every single person should be reading. It’s shameful that I haven’t read Evolution…, considering I, too, loved Fat Cat so very hard. I read it earlier this year and was pretty much struck dumb by how much I loved the characters. You perfectly captured the way I felt about that book — which was just… love. Serious love. I’ll be grabbing Brande’s other book soon! Meg: YOU MUST read Evolution!! Evolution was wonderful, and I’ve been meaning to get Fat Cat too. Thanks for the reminder! >>Guys, I loved that book so hard that I couldn’t even review it. I know, that doesn’t make any sense, but somehow I just never got around to writing up a review of it. I think that makes PERFECT sense. Sometimes I’m paralysed by how incredible a book was! These both sound great; when I’m in a teenage kind of mood, they’re at the top of my list! Eva: I think you’ll love these as much as I did! I read. I write. I blog. 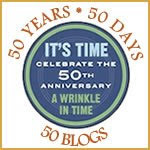 Check out all the blogs that are celebrating the 50th Anniversary of A Wrinkle in Time!